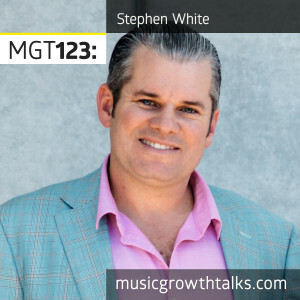 SStephen White, who served as the President at Gracenote from 2012-2014, is now the CEO of Dubset, an innovative music marketplace for DJs, artists, labels, publishers, and distributors. Dubset gets mixtapes, remixes and DJ sets the licenses they need to be distributed on streaming platforms like Spotify and Apple Music, and hence monetized. On this Music Growth Talks episode, Stephen talked about Dubset’s history (some of you may still remember it as a place to host your DJ mixes), explained how complicated the clearance process has been traditionally and how a DJ, a producer or a label can do it differently using Dubset’s MixBANK. Stephen also shared details of the recent project by J.PERIOD, featuring hip hop legends Rakim, Pharoahe Monch, and Black Thought, which is a live mixtape that was recorded in one take. This is the first time such a mixtape has been cleared for commercial distribution. Listen to the episode in full to find out more about Dubset’s recent partnership with SoundCloud, and learn why to pay attention to Apple Music’s new DJ-friendly features.